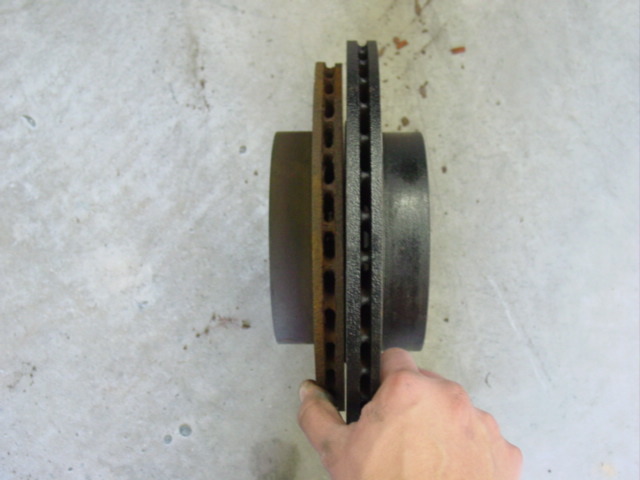 This section will illustrate the physical difference between the original 240SX brake hardware and the 300ZX brake hardware and include my overall impression of the swap. 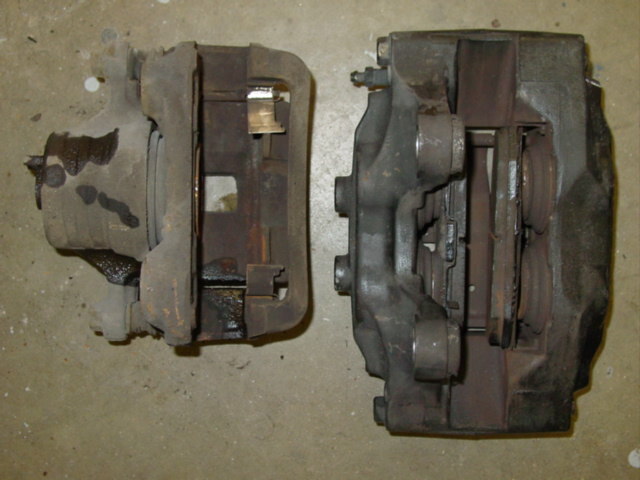 Inside view of the three caliper options. Rotor Gap in the 30mm Iron Caliper. Note the different widths between the marked areas on the calipers as well as the overall width difference. 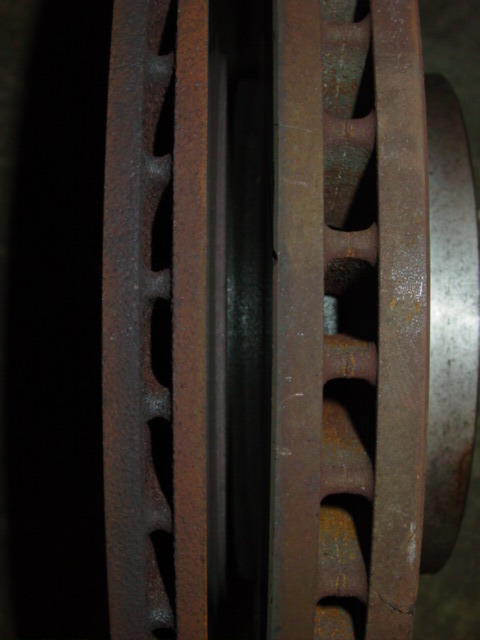 The rotor channel has the same width on the 30 mm aluminum and iron calipers however the iron caliper casting is narrower near the bridge bolts. The total width of the calipers (distance from the mounting ear to the outside face of the caliper) is the same for both the iron and aluminum 30 mm calipers. 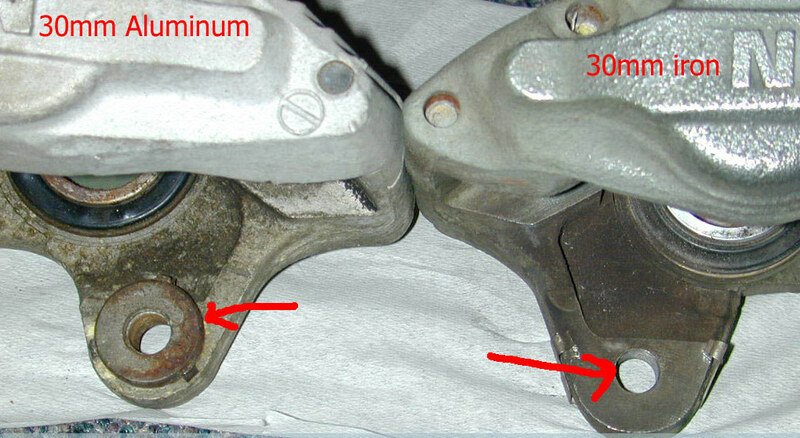 Notice the well-defined small heatsink ridges on teh aluminum calipers and the “scalloped” out areas on the iron caliper. 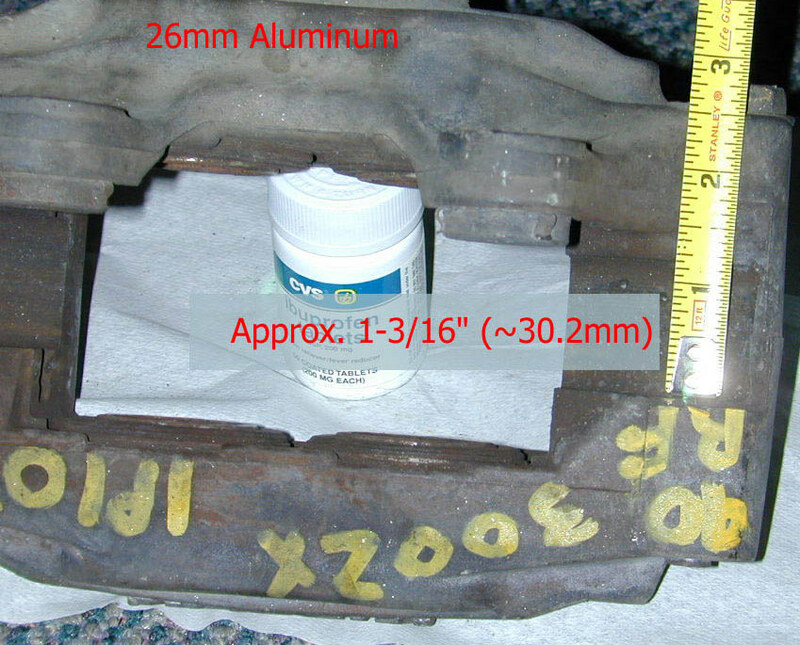 Again, note the width difference in the castings between the bridge bolts on the 30 mm calipers. 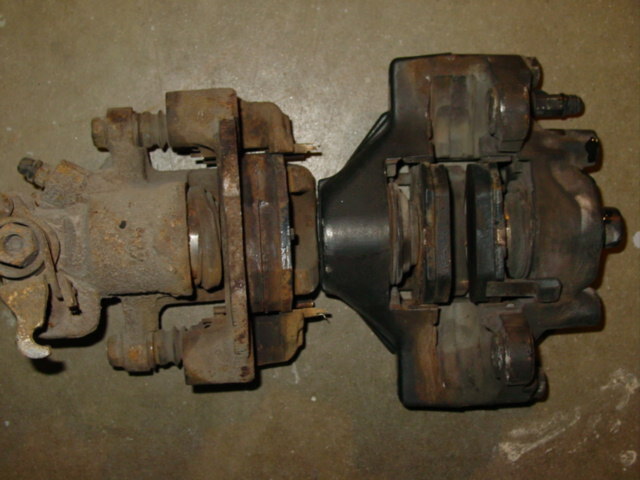 The casting in the region of the pistons of the aluminum calipers has the two “circles” connected in a sort of dog-bone shape. 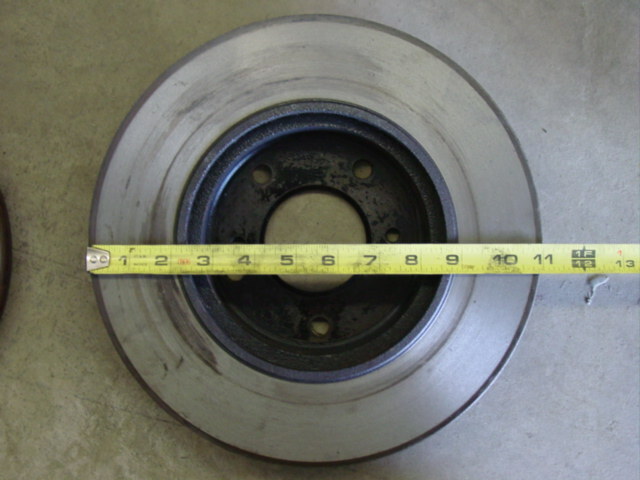 The iron caliper has two well-separated circles. Also notice the small “SUMITOMO” casting on the face of the aluminum calipers. 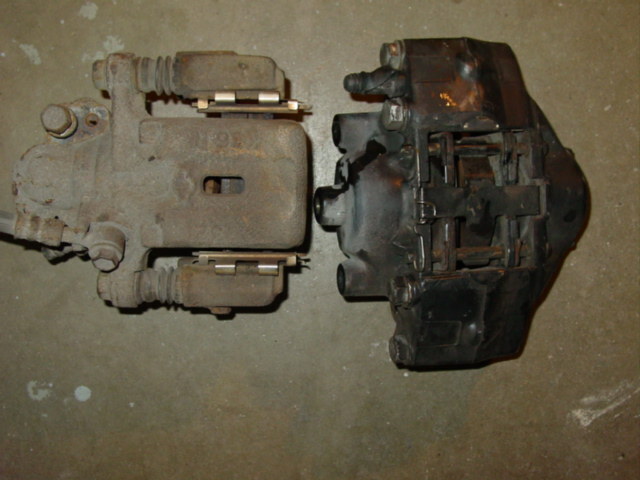 Note the “SUMITOMO” casting on the inboard side of the iron caliper as well as the aforementioned heat-sink ridges and casting differences in the piston region. The aluminum calipers use a threaded steel insert pressed into the caliper for the caliper mounting bolts. 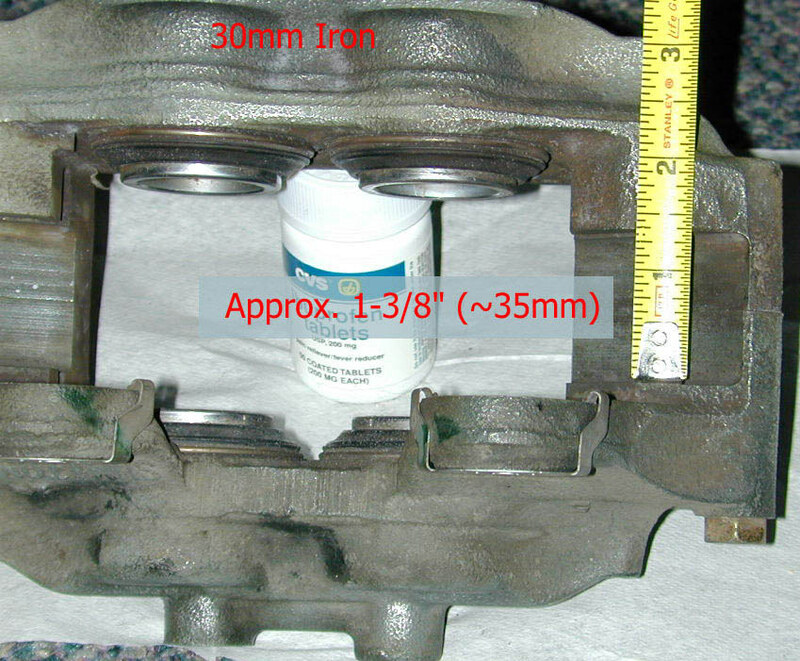 The iron calipers are threaded directly into the casting. 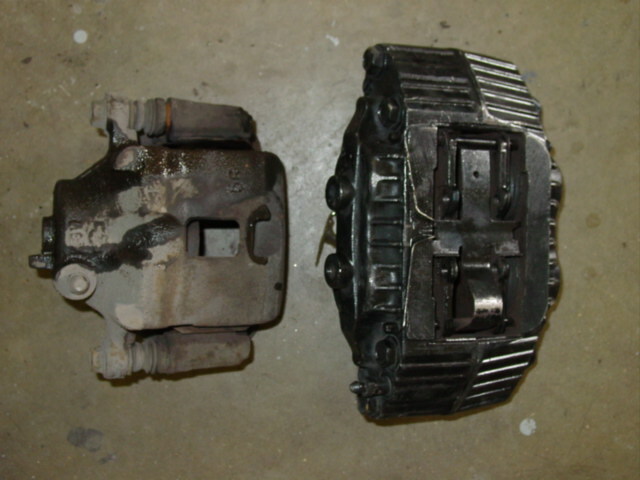 Also note the different shapes in the body of the caliper. 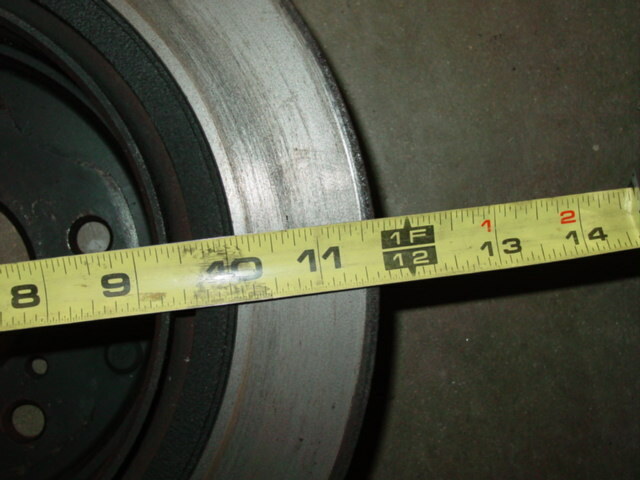 26 mm aluminum caliper rotor channel gap. 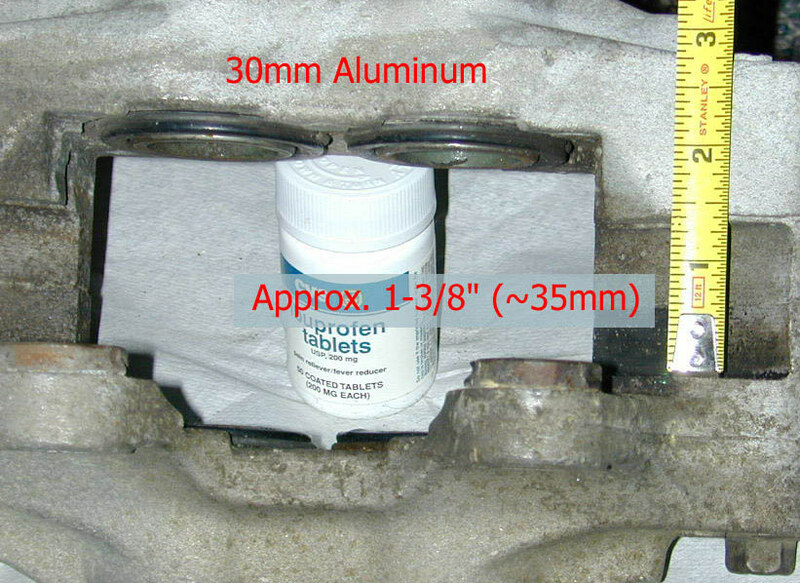 30 mm aluminum caliper rotor channel gap. 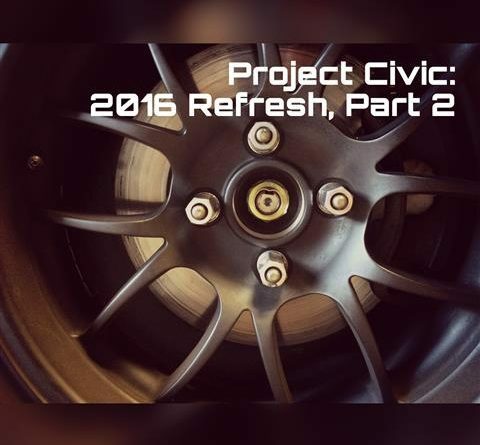 The front brakes start out as a 9.8″ vented rotor and single piston caliper. 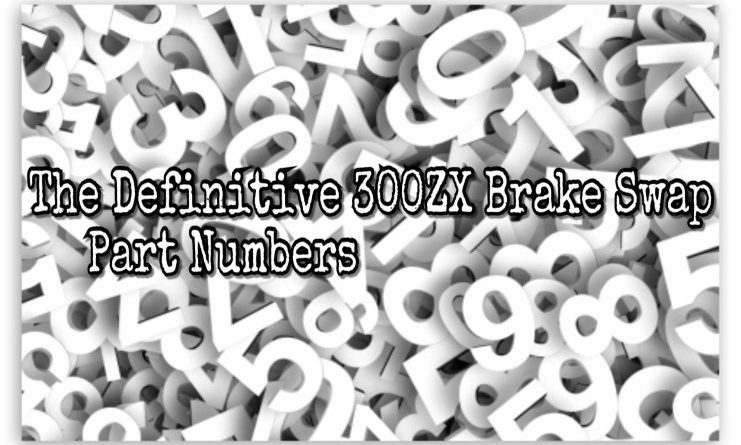 The 300ZX offers an 11″ rotor with a massive 4-piston caliper. 26 mm caliper vs 30 mm caliper. It’s easy to see the difference between the two 300zx options. Ultimately, if weight is a factor, utilizing the aluminum 26 mm setup will save you a few lbs. 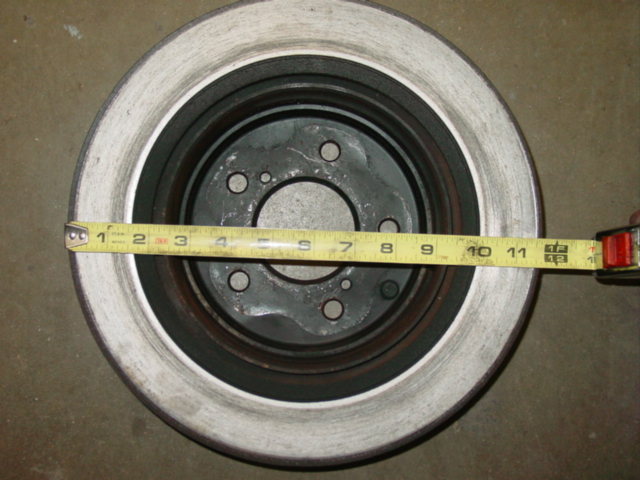 The rear brakes start out as a 10.2″ non vented rotor with a single piston caliper. 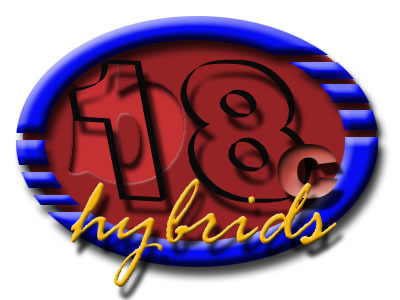 Upgrading to the 300ZX equipment rewards you with an 11.6″ vented rotor with a separate drum e-brake and a 2 pistons caliper. 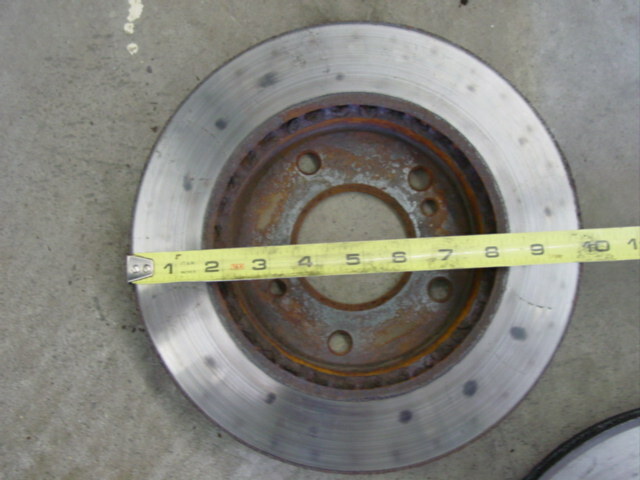 I can say, without a doubt, that the swap made a significant improvement in braking performance! 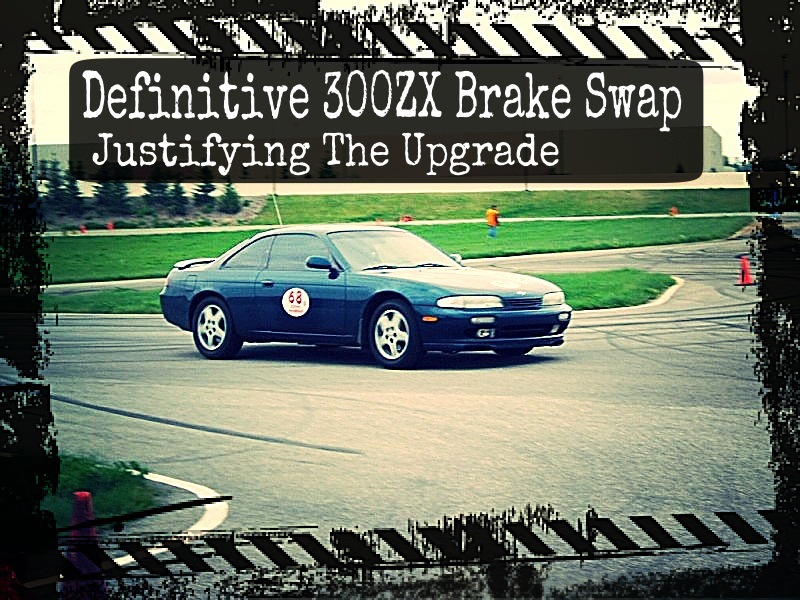 I never had a chance to compare stock to swapped on a race track but it is clear that the swap provides the foundation that will provide as much braking as anyone would need. 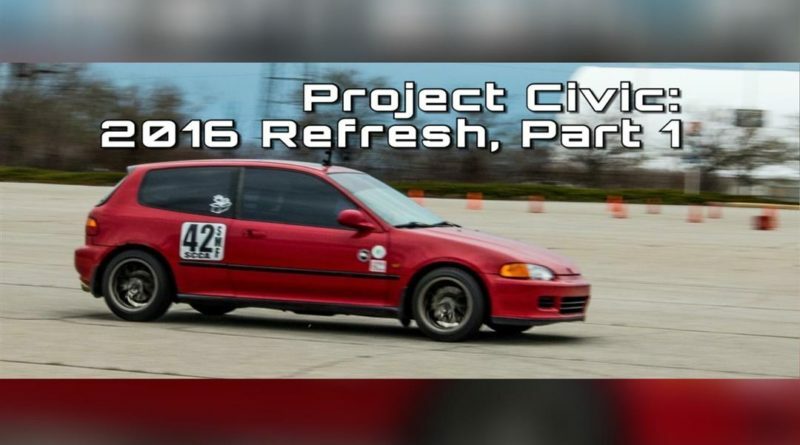 Pair this swap with a set of aggressive pads and the car will be ready for anything. I also had a chance to experience the caliper and rotor upgrades prior to swapping the master cylinder. I didn’t have one ready when I did the first part. Using the stock 240SX master cylinder with the 300ZX brakes results in a very spongy pedal. The master cylinder upgrade resolved that issue and improved brake feel better than any other part of the swap. The next section will cover the front brake installation. Click on the link below to see the complete series.